ACPA’s 76th Annual Meeting in Tucson, AZ is being held April 9-13, 2019. 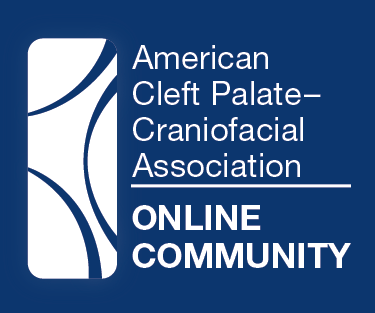 Abstract submission has closed and the Program Task Force, chaired by ACPA Vice President-Elect Lynn M. Fox, MA, MEd, CCC-SLP, has finalized the meeting program. Is the topic appropriate for ACPA’s Annual Meeting? Will the presentation introduce new information? Is the required information included? After the reviews are completed, a subgroup of the Program Committee meets to discuss the reviewed abstracts and create the meeting program. The group focuses on forming a quality program that is valuable for the meeting’s multidisciplinary audience. There is an effort to avoid duplication and to include clinical and research topics, all subject areas and international submissions, keeping in mind feedback from prior years. The subgroup also recommends changes to abstract types as appropriate, considering the topic, quality of material and available space. 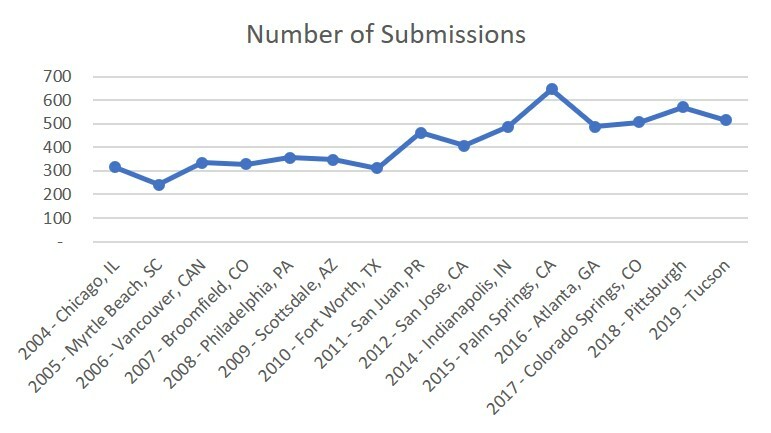 This year 515 abstracts were submitted from around the world. Number of Abstracts Submitted for each Annual Meeting. This does not include the 2013 International Congress which had 1,157 abstract submissions. The ACPA Program Task Force would like to thank everyone who submitted an abstract for ACPA’s 76th Annual Meeting. Notifications will be sent in December and registration will open in January 2019.